In Chapter 7 bankruptcy, sometimes called liquidation bankruptcy, a court-appointed trustee sells your nonexempt assets and uses that money to pay your creditors. The court can discharge, or erase, many of your remaining debts after the trustee sells your eligible assets, and creditors can no longer collect on those discharged debts. To qualify to file under Chapter 7, you must pass a means test that assesses your income level. Social Security benefits, including disability benefits, are not included in your means test calculations. So, if you earn little or no income outside your Social Security benefits, you will likely qualify to file under Chapter 7. Only nonexempt assets can be sold or liquidated in a Chapter 7 bankruptcy; you keep the exempt assets. Social Security benefits are excluded as exempt assets under federal law only if they are kept separate from other funds. In other words, if you mix your benefit payments with money from other sources, the court could decide your Social Security funds have become too commingled and indistinguishable from other funds to protect. State and federal laws provide lists of exemptions, and each state's laws are different. Typically, state and federal exemption categories overlap, but each list provides a different exemption amount. For example, federal law sets a real property exemption at $21,625. Though this amount is doubled under federal law for married couples, state real estate exemptions are often more generous. State laws determine which exemption list you must use -- federal or state -- and some states allow you to choose the list that is best for you. Exemptions typically include your home, a vehicle, household furnishings and appliances. Many of these exemptions set a maximum dollar amount that can be excluded. For example, if your state exempts a certain amount of equity in your home, your house could still be sold in bankruptcy if you have more equity than the maximum allowed. Assets outside the list of exemptions can be sold in bankruptcy, even if you purchased them with payments from Social Security benefits. Chapter 13 bankruptcy does not involve the sale of any of your assets. Instead, under Chapter 13, you must repay your debts according to a court-approved repayment plan over three to five years. The plan is structured based on your disposable income, but Social Security benefits are not considered disposable income. You may have very little disposable income to put toward your debts under a repayment plan if you do not receive much income beyond these benefits. If you successfully complete your repayment plan and attend required credit counseling, the court will grant a discharge of certain remaining debts. Chapter 13 gives you the ability to bring your secured debts, such as mortgages and vehicle loans, current while freeing you of your unsecured debts, such as credit card or medical debts, through discharge. Accrued and retroactive Social Security disability benefits are sometimes paid in a lump sum rather than in regular periodic payments, such as when a Social Security appeal is granted. These payments are ineligible for consideration in a bankruptcy case because federal law protects them in the same manner it protects monthly benefit payments. You can safely file for bankruptcy even if you have a Social Security claim pending. Like other Social Security payments, lump-sum benefit payments should be kept separate from other household funds to avoid the complications that arise from commingling them. Bankruptcy Law Network: Can I File Bankruptcy if My Only Income Is Social Security? Jeff Kelly: Bankruptcy -- Should Someone on Social Security File? 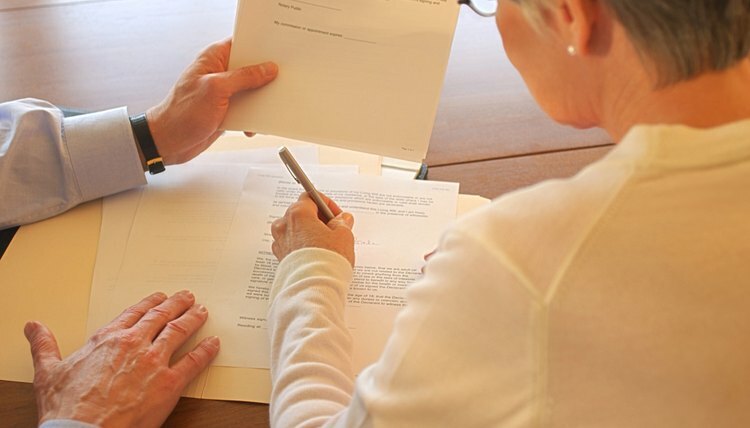 Sam Turco Law Offices: Are Social Security Disability Settlements Protected in Bankruptcy? BCS Alliance: What Property Do I Get to Keep When Filing Bankruptcy?